USA Softball of Texas is an affiliation of USA Softball, the National Governing Body of softball. We are one of 68 associations in the United States. USA Softball of Texas is the area of Texas not located in the geographic area of Dallas, Ft. Worth, San Antonio, and Houston. These are called "metro" areas and each has its own organization that is responsible for the USA Softball operation in that metro area. USA Softball of Texas is divided into Districts and each district has a District Commissioner that has total responsibility for the district assigned to them. Each of these District Commissioners may in turn appoint other district personnel such as Deputy District Commissioners, District Youth Commissioners, District Umpire-in-Chiefs, etc, to assist them in administering the USA Softball of Texas programs. 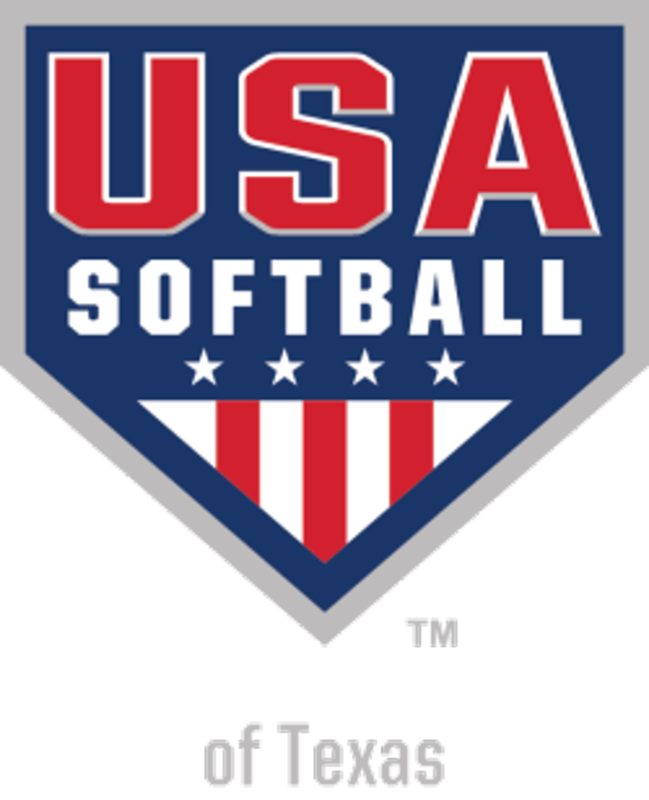 USA Softball of Texas is comprised of a State Commissioner, Deputy State Commissioner, State Youth Commissioner, State Umpire-in-Chief, and At-Large Player Representatives. The majority of these people make up the USA Softball of Texas Executive Committee. Voting members of USA Softball of Texas consists of District Commissioners, Deputy District Commissioners, and District Youth Commissioners. USA Softball of Texas conducts state-wide meetings every January and October. During these meetings the voting members establish rules, guidelines, bid and award state tournaments, and conduct other pertinent business matters that allow USA Softball of Texas to be a success. The January meeting is dedicated to training ourselves to operate our program more efficiently. ©2019 USA Softball of Texas / SportsEngine. All Rights Reserved.